IPhEB&CPhI Russia 2018 waved goodbye to all of us last week, but ChemBnB is still working its way to say hello to the world. Held from April 11 to 13, the three day event attracted over 150 exhibitiors from 19 countries and more than 3100 visitors from 54 countries, and had offered all of the attendees a great opportunity to meet the key high-level pharma industry professionals under one roof. As the most comprehensive event in the industry, IPhEB&CPhI Russia has helped many people initiate business and build partnerships by gathering the entire pharma supply chain in one location, including fine chemicals and intermediates, finished dosage, natural & herbal medicine, pharmaceutical machinery, packaging solutions, etc. 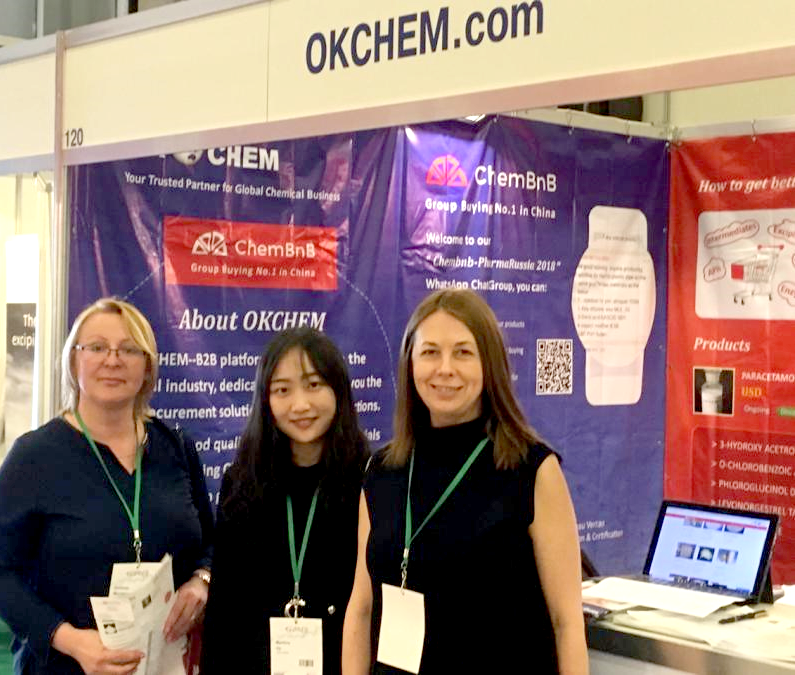 At IPhEB&CPhI Russia, while many exhibitors were still doing business in their old ways and using various marketing methods to promote a limited range of products, our ChemBnB stood out from the crowd with a new business mode at booth 120. 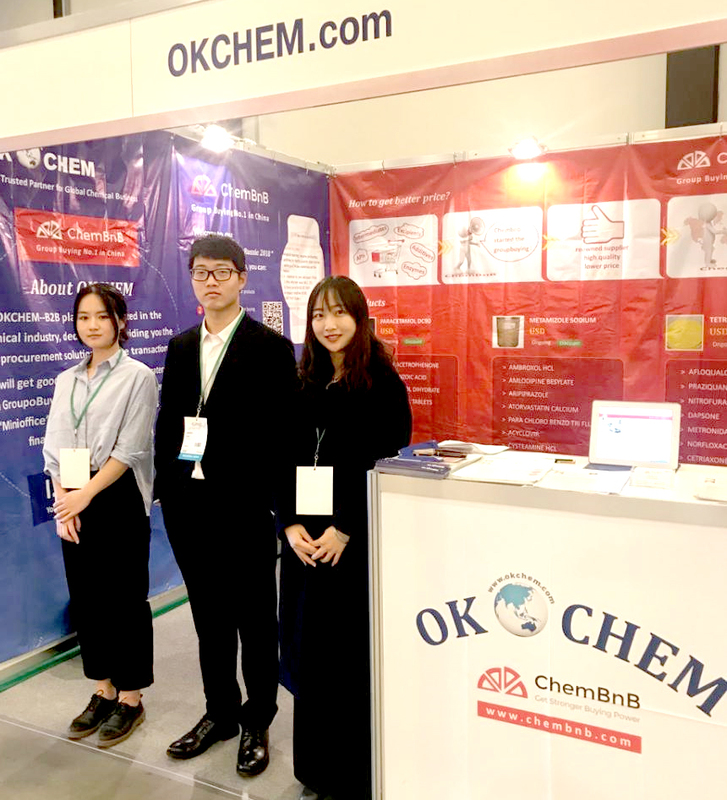 As the first professional group buying platform for chemical business, ChemBnB can gather the buyers of the same chemicals together and help them get the quality products at lower prices. To some sense, it is more like a kind of teamwork for the buyers, three are stronger than two, and two are better than one…all the buyers can enjoy bigger discounts for their orders on ChemBnB than each of them place order with the suppliers individually. Therefore, everybody wins! During the show, some foresighted buyers had seen the benefits of ChemBnB group buying and registered as users for future purchases, some had even applied the medical chemicals on the spot. 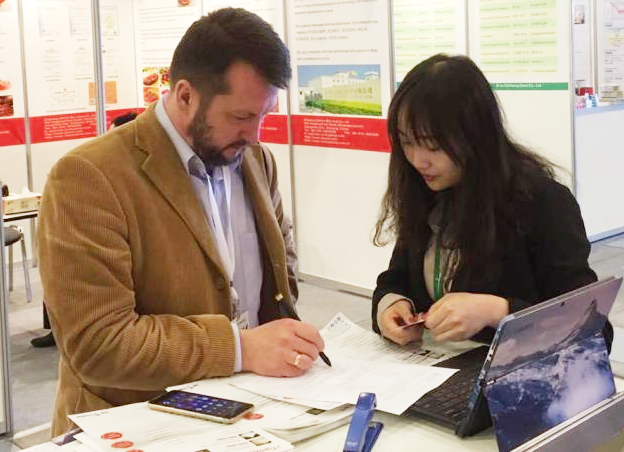 We also saw many Chinese suppliers in the show, and some of them have entered into the Russian pharma market for over two or three years. But it was hard for them to expand the market with their traditional trade mode, even though the market is still booming. When they saw ChemBnB, they showed great interests in group buying and wanted to become suppliers on our platform. As a professional chemical B2B platform, we are working very hard to help all the chemical buyers and sellers over the world to do business at one place. So, either you are a supplier or a buyer, if you have any requirements for group buying or any other new business modes, come to us and we will satisfy your needs.